New England offers a wide variety of ski hills, but nowhere moreso than in verdant Vermont, whose 41 resorts with strong learning programs are easy to sample for a family winter vacation. The Vermont Ski Areas Association (it includes 19 alpine resorts) is the industry organization that invites families to celebrate winter by enjoying the state's homey villages, striking scenery and varied terrain. With the East's most advanced snow-making facilities and one of the largest skiable areas, Killington is usually the first resort to open, often before Halloween. By Thanksgiving Day each year, most of Vermont's 17 mountain resorts have geared up for the season, offering families a wide option of programs and prices. Over 5,000 acres of skiing and snowboarding, excellent instruction for children and adults, ice skating, tubing, cross-country skiing, snowmobiling and sledding, shopping and cultural attractions await, and train, bus and air service make the going easy. Here's our list of Vermont's top family-friendly resorts in alphabetical order. Bromley Mountain near Manchester has more than 70 years of experience training skiers and now boarders, and states that "word of mouth" is what keeps families coming. Ranked #1 in North America for Family Programs by Ski Magazine in 2005, this mountain still combines exciting terrain with a cozy, family-friendly feeling. With PigDog as their mascot, 6 to 12-year-olds spend their days in age- and ability-appropriate groups exploring the mountain while learning skiing and snowboarding. The Mighty Mites Club provides daycare for 6-week to 3-year olds, and introduction to skiing plus playtime is offered to 3-5-year-olds at the Mighty Moose. Ask about their Family Fridays where up to 3 kids ski for just $15 with a paying adult, and Mom's Day Off (in February) when moms ski for a $15 donation to the Vermont Chapter of the Susan G. Komen Breast Cancer Foundation. 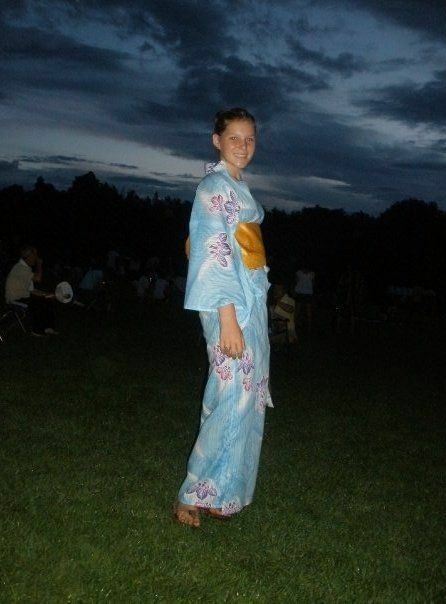 Visit Bromley Mountain online or call 802/824-5522 for more information. Jay Peak Resort, popular with our Canadian neighbors for its abundant snowfall, is conscious of the family budget and offers value-oriented vacations including great skiing, varied activities and comfortable facilities. 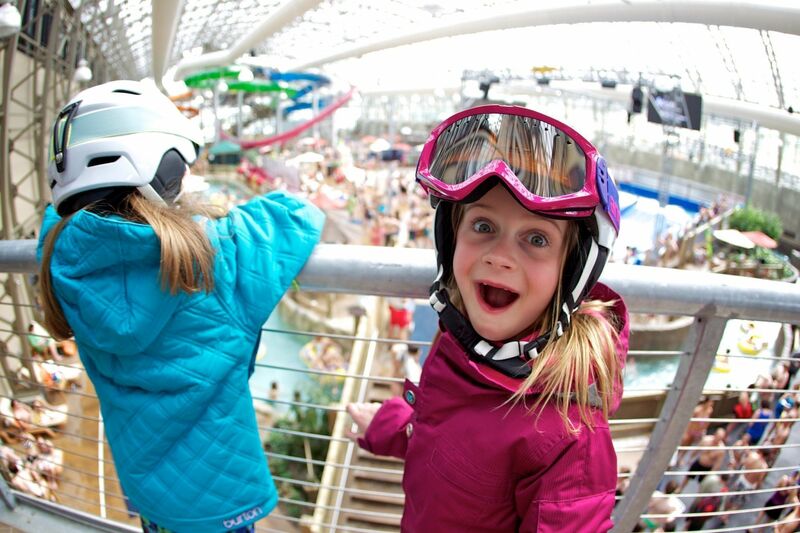 Age-appropriate ski school programs start with an indoor learning ramp and advance to skiing and snowboarding. Childcare for infants under 2 and a Nursery for 2 to 7-year-olds is available from 9am-9pm giving mom and dad some well-deserved alone time. An introduction to skiing takes place in "Kinderski" (ages 3-5), and snowboarding is introduced in "Mini Learn to Ride" (ages 5-6). "Jay Explorers" is for ages 6-10 and the "Mountain Adventures" group covers skiing, boarding, and other snow activities for ages 8 and up. Call Jay Peak Resort at 800/451-4449 or visit Jay Peak Resort for package rates and more information. Mount Snow Resort boasts family-friendly values with savings on their instructional programs, vacations and season passes. Additionally, children <5 ski free. Their childcare program is for 6-week to 6-year olds, Cub Camp and Skiing Programs introduces skiing and boarding to children in age-appropriate groups from 3 to 14-years-old. Call Mount Snow Resort at 800/245-SNOW or visit Mount Snow's website for package rates and more information. Okemo Resort Family-owned, this Ludlow mountain offers free skiing and riding for kids <6, two free beginner surface lifts and free lodging for kids <12. Discount rates are also available for teen lift tickets. Excellent day care (6 months to 6 years) is offered at the Penguin Playground, which also oversees ski and snowboard instruction for the kids. Check out their recent expansion of trails. Call 800/78-OKEMO or visit Okemo for Okemo Ski and Stay rates and more information. There are still more Vermont resorts that cater to families, and each has its own distinctive style. 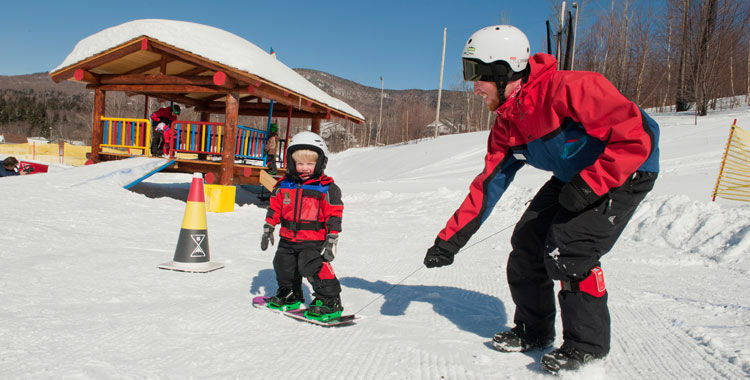 Smugglers' Notch guarantees that children will enjoy their program or your money will be refunded, perhaps why it was voted #1 for five years in row for its Family Programs by Ski Magazine readers. Smuggs 5,400-square-foot "Treasures" Child Care Center is home to the 6-week to 3-year-old crowd who use its outdoor playground, heated snowmelt walkways, and ski-in and ski-out access. Also, in addition to Ski Camp beginning at age 3, Snowboard Camp will be available to kids as young as age 4. Teens will not be forgotten with the inauguration of the second Teen Center and two ski and snowboard programs. Ski lift improvements, a warming house, dogsledding and snowmobile tours and additional one, two and three-bedroom condominiums complete the exciting plans. 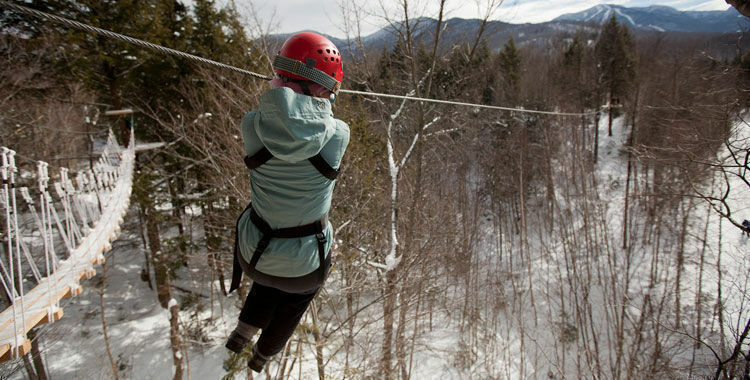 For package rates and other information, call 800/451-8752 or visit Smugglers Notch online. Stowe Mountain Resort is at Mount Mansfield, Vermont's highest peak. Families can take the special lift to Spruce Peak, home to its children's programs, where CUBs Daycare Center welcomes kids from 6 months to 6 years. Children's programs, led by instructors considered to be among the best in the country, are arranged by age with Kids Adventure introducing skiing to the 4-6-year olds, the Mountain Adventure program for 7-12-year olds and the Holiday Adventure program for 11-14-year olds. Call 800/253-4SKI or visit Stowe Mountain Resort for package rates and more information. Sugarbush Resort features updated equipment, new chairlifts and enhanced snowmaking and grooming equipment. Sugarbush has also introduced "Scan'n'Ride" tickets and passes, essentially a lift pass debit card on which you can pay for a lesson, a lift pass or a meal, similar to the system already in use out west at Jackson Hole, Whistler and Park City. Ski lessons are available for children from age 3 to 12-years-old; snowboard instruction begins at 7-years. Daycare Cubs is available for children 6 weeks to 6 years. 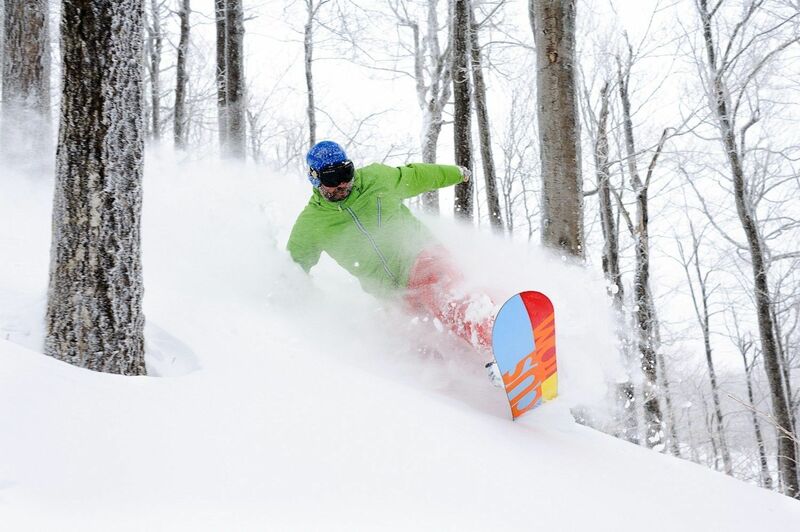 Call 800/53-SUGAR for package rates, reservations and information, or visit www.sugarbush.com. Suicide Six in Woodstock is a favorite among families who praise its manageable size and great staff. 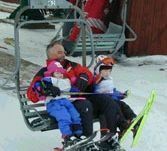 Family Ski Packages (4-day, 3-night packages) during January and February offer a great way to acquaint your family with skiing and a chance to take in the cozy and rather deluxe Woodstock Inn with connecting rooms for children, sleigh rides and country breakfast. Check out the Woodstock Inn site or call 800/448-7900 for rates and more information. So if your family wants to enjoy Yankee hospitality, try snowskates, go for a sleigh ride or sip hot chocolate in front of the fire, Vermont may be the place for you. Call Ski Vermont at 802/223-2439 or visit Ski Vermont for even more options and details on this year's calendar of events. Can anyone predict if the weather will be better thi s year? Vermont had great skiing conditions in February and March but we are wondering about the early season? Any farmers out there want to make a prediction?